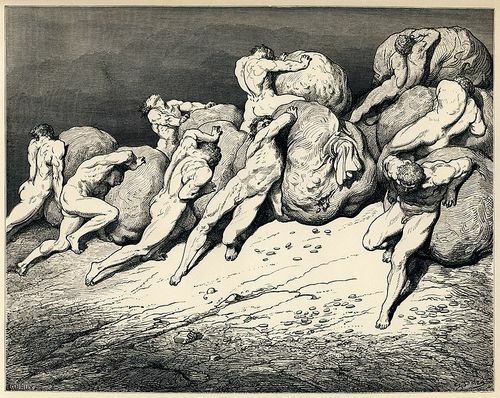 The continued growth in the productive powers of society can only mean the increased productive power of human labour, exercised through increasing use of the implements of labour and the organisation and application of scientific knowledge. This in turn can only manifest itself in the growth of the working class that exercises this power, wields the implements of labour and develops and applies advances in scientific knowledge. The result has been the increasing creation of the material conditions that can provide the foundations for a more equitable and socially just society. The most important of these is the growth of the global working class. From 1980 to 2010 the world’s labour force grew by 1.2 billion, to approximately 2.9 billion, with almost 90 per cent of the growth occurring in what has been called developing countries, including 500 million in China and India. In the process 620 million people have been lifted out of poverty, as defined by the World Bank at $1.25 per day (at 2005 purchasing power parity). Global non-farm employment rose from 54 per cent of all jobs in 1980 to 70 per cent in 2010. In what are called the advanced economies 165 million new non-farm jobs were created and a large number of these taken by women joining the workforce. Over this period the number of women in the labour force rose by 77 million accounting for the majority, 61 per cent, of the net new additions of 122 million. Average skill levels of the workforce have also risen with the number of college graduates in the world labour force doubling in the economically advanced countries and growing by two and a half times in developing countries. Around 700 million high school graduates joined the world’s labour force, increasing the proportion of those with secondary education to 48 per cent in 2010 from 39 per cent in 1980. The McKinsey report quoted above states that in the advanced countries the share of national income going to labour rose during the 1950s and 1960s, peaking in 1975, but has fallen ever since and is now below its 1950 level. The wages of less skilled workers have stagnated or fallen in all but a handful of advanced countries while the incomes of those in the top 10 per cent have risen. Capitalists complain that they cannot get the necessary skilled workers and unemployment among those with only secondary education is nearly twice as high as among those with college degrees. In the advanced countries unemployment among the least skilled is two to four times higher than the most highly skilled. As illustration of the insanity of capitalism’s failure to develop in any sort of rational manner, an article in the ‘Irish Times’ earlier this year notes that the Irish State has the dubious distinction of having the most overeducated workforce in Europe with around a third overqualified for the jobs that they do, just in front of Cyprus, Spain and Greece. It reports one young woman with a degree and a Diploma in primary school teaching who made 80 job applications last year and didn’t get one interview. As the duration of unemployment grows the skills previously acquired atrophy and the social labour expended on their acquisition is wasted. So some educated workers can’t get a job commensurate with their education while capitalists complain they can’t get skilled workers. A further twist is added when you consider the well paid jobs that some workers get have relatively little to do with their accumulated knowledge. I recall reading some time ago an article in a British newspaper that noted that the knowledge and skills of those with science qualifications is socially wasted in jobs within the media industry, in companies like Google or Facebook, doing jobs that involved not much more than high-tech advertising and selling. I know of one young woman who has a PhD. in science, in which she studied the transfer of drugs through the body for those with cystic fibrosis but who could only get a decent wage by requalifying as an accountant. When production is profit driven, without any conscious societal mechanisms to determine social priorities, such waste appears in statistics as remarkable progress. What isn’t measured is the potential contribution that millions of working people could make but can’t because of the lack of opportunities and subordination and lack of democracy in the workplace that stifles their ambition and creative powers. Despite all this however it has to be understood that capitalism continues to develop, and the productive power of humanity continues to grow massively. The need for skilled workers grows even if the system often wastes much of the knowledge and skills created. There can be no doubt that the ‘civilising mission’ of capitalism, which the last few of these posts have been about, continues. Of course it does not develop evenly and does not develop without antagonism or contradiction and in the next posts I will look some more at the limited and contradictory character of this development. However if capitalism were simply as system in crisis we could not explain why it still exists. If it were not still revolutionising the means of production and developing the productivity of labour it would no longer be the capitalism analysed by Marx and we would have to find some other approach to understanding it. Most important of all, as I have said before: if capitalism created only oppressed, exploited and alienated human beings where could the alternative come from? One development in the North of Ireland that has come into existence largely unmentioned is Stormont’s new welfare to work programme. There have been quite a few of these in the past, New Deal, Steps to Work, but this one is more than just a hand me down modification, it fits with the now. It is certainly a major change all right; it is the semi- privatisation of Stormont’s unemployment responsibility. The job of getting the north’s unemployed reserve army into work has just been handed over to three ‘lead contractors’ i.e. to profit seeking private companies. Belfast –Ingeus UK Ltd, supported by Armstrong Learning NI, People 1st, Springvale Learning, SES Consortium and Addiction NI. Northern Region – EOS (Trading) Northern Ireland Ltd, supported by Elle Enterprises, Customised Training Services, Network Personnel, Ulster Supported Employment Limited, North City Business, Roe Valley Enterprise Ltd and Roe Valley Community Education Forum. Southern Region –Reed in Partnership, supported by Global Education Ltd, Network Personnel, Rutledge Recruitment and Training and South Eastern Regional College. From now on the private sector will be gifted an opportunity to make a profit out of the unemployed with contracts worth £35 million. The only objection raised by those MLA’s who were there for the Committee stage was that DEL had unkindly overlooked some locally run training organisations in favour of the bigger outsider businesses -Pat Ramsey of the SDLP worried that 400 jobs could be lost to local training organisations in the transition period. Ingenus, for example is a welfare to work international business founded in 1989 by the wife of the former Australian Prime Minister Kevin Rudd. Therese Rein sold the business to Providence Service Corporation of Arizona in April 2014 in a deal said to be worth £65 million in cash and another £25 million in stock options, and she agreed to stay on as the Chief Executive. Although present in several countries, Ingenus makes seventy percent of its declared profit from the British Government’s welfare to work contracts. The Australian government has been pretty ruthless in the slashing of the social entitlements of workers and this gradgrind model is being imposed in Britain via companies like Ingenus. News journalists in Britain frequently claim that the welfare to work programme has been an unmitigated disaster, on the basis that it has been shown to be not good value for the taxpayer’s money lavished on it. It has been reported that less than 5 percent of those forced under its iron wheels find any permanent work. These sorts of ‘I feel sorry for the taxpayer’ type of political analyses has become the norm for almost all news media criticism of government policy. When asked about the work programmes’ lamentable failure reported by the news media in England, the DEL civil servants simply told the Assembly Committee that civil servants were under no legislative obligation to take the poor results into consideration when inventing their own scheme specially tailored for the North of Ireland. The DEL officials told the Assembly Committee they were aiming at a better programme and at a higher achieving rate of 29%. Success is defined as finding a job for anyone on the programme for at least three or six months. The ‘getting good value for taxpayers money’ model of social criticism is an absolutely hopeless one in dealing with the private welfare to work model as it is to be applied in the North of Ireland. The only model of political analysis useful here is the one that relates important government policy decisions directly to the aims of the Good Friday Agreement and fulfilling the mandate of the peace process. The managerial side of the Stormont regime is certainly not dedicated to ‘helping’ the unemployed section of the working class into some new era of private sector prosperity – that much is obvious. Rather it is preparing and training them for a future based on low expectations, frequent changes to part time working and acceptance of a long life on the minimum wage. One of the most significant new protocols attached to the steps to success programme is that the new providers are not obligated by their DEL contract to offer training and education to their unemployed clients. All of the previous work programmes at least contained such a proviso, stipulating some skills training. This new iteration does not. It was no doubt thought to be an added expense that the private contractors could well do without. There is no expectation that the jobs the private sector currently has on offer will be anything but part time, temporary, low skilled and low waged. The fact that the private contractors will receive a payment from the Department on the basis of any three or six months job take-up speaks volumes. It should be said that participation on the new work programme is mandatory. Even the 60 to 65 age group are forced to take part, something that did not previously apply. There are to be five client groups – Jobseekers 18-24, Jobseekers early entry, ESA’s (employment support allowance) voluntary ESA’s and Returners. The ‘client’s’ routine is to change from visiting the job centre once a fortnight, to show sufficient evidence of really seeking work, to carrying on with this plus an added second routine of meeting with the ‘provider’ at least three or four times per week for sessions lasting either one or two hours – supervised job searching to really really show they are seeking work. The larger client group must do a minimum of five hours supervised searching spread out over the week. This routine includes cold calling of employers who may not have even adverted any vacancies. This is obviously an enhanced surveilling of the lives of the unemployed. The ‘clients’ even have to hand over their mobile phone details and email addresses for random contacts about job offers. They also have to sign wavers allowing the providers to retain and make use of their personal details. You are asked to inform them of any health problems you may have and to let them know if you are a ‘substance abuser.’ Some of the client groups have to agree to do work placements without pay. The client can in theory claim travelling expenses if they are especially diligent. I had to delve deep into the DEL protocols documents to discover this. Claims for travel expenses will be submitted at participant level and can be claimed on a four weekly basis. The Department will make payments within 30 working days of receipt provided receipts are offered.’ The least expensive way to travel in Belfast is to buy a bus day ticket costing £3.40 or £3.90. So the typical travel expense for participants is likely to be between 10 and 15 pounds per week. A single person under 25 on JSA receives £57.35 and the over 25 person gets £72.40. Obviously one training tip you are going to get on this programme is a vital lesson on keeping receipts. Give up, or fail to attend the required S2S attendance without good reason or are asked to leave for non-compliant behaviour. Your benefits will be stopped for four weeks for a second breach of the rules. There is as yet no evidence available for current sanction rates in the North of Ireland. The rates of sanction penalisation in GB are amazingly high. On 12 February, DWP published an important Freedom of Information response 2014-4972 showing the proportion of JSA claimants sanctioned and the numbers of repeat JSA sanctions. Almost one-fifth (18.4%) of the 3,097,630 individuals who claimed JSA during 2013/14 were sanctioned: 568,430 people. During 2013/14 the maximum number of JSA claimants at any one time was 1,474,428. This gives some idea of the amount of turnover in the claimant count. We know from Stat-Xplore that there were 888,936 JSA sanctions in 2013/14, so that the average number of sanctions imposed on sanctioned claimants in 2013/14 was 1.56. It should be remembered that these figures show the proportion of claimants sanctioned after reviews/reconsiderations and appeals. The proportion sanctioned before these challenges in 2013/14 must have been about 20%. Incredibly the Work Programme continues to deliver far more JSA sanctions than successful JSA job outcomes. The official statistics show that up to 30 September 2014 there had been 345,640 JSA Work Programme job outcomes and 575,399 JSA Work Programme sanctions. This new policing regime for the unemployed is already in situ while the controversial welfare reform changes that have provoked so much comment are yet to be rolled out. One intention of the welfare reform plan in waiting is to push as many of the more costly benefit claimants into the cheaper Steps to Success programme. This anticipated change is the reason why the bigger private sector welfare to work contractors from Britain are anticipating an increasing client base. The other is to harry as many people off the benefits system as is possible within the law. The early signs are that it is working – the last three months have seen the biggest fall in live jobseeking claims ever recorded, 1,700 per month. Many are drifting on to other benefits like claiming sickness benefit but the the economically inactive count is also rising rapidly and last month it reached 28%, the highest by far in comparison with Britain. It is the high numbers of economically inactive that is now attracting the gradgrind attention of the neo- liberal economists. How quickly the promises of the Good Firday Agreement have turned to dust for the working class. The peace process promised a better life for all and there was much talk of a lasting peace dividend. For a few years there was all the appearance of incresasing prosperity, but it was based on bank lending, rising house prices and some increased public spending. In retrospect the material cause of the peace process can be said to be precisely this raised State spending. A recent study carried out by the Nevin Economic Research Institute provided data showing how the cuts may impact. According to the report three parliamentary constituencies, Foyle, West Tyrone and West Belfast have above-average public sector employment, with West Belfast the most vulnerable to job losses with over 45% of total employment being in the public sector. A proposed public sector redundancy scheme was announced as part of the Stormont House Agreement. The scheme is intended to “re-balance” the local economy, which is said to be disproportionately dependent on the public sector, which accounts for 31% of total local employment. If so many of our people, the ‘oppressed nationalists’ are being employed in secure long term jobs by the State why are we concentrating all our efforts on destroying it? This was the objective condition faced by the revolutionary movement organised by the republican movement pre-peace process. The long war was never targeted at the private sector just the State. We know how that story turned out. The republican movement disarmed and then married into the State to become senior board members in a logical exercise in political thinking. Things are now changing – the British government strategy of supressing the insurgency with above-normal levels of public spending is coming to an end. You could argue that the proposed rebalancing to a private sector based economy is simply the logical extension of neoliberal austerity economics. Yet a more precise argument would have to factor in a change in the political conditions and climate of opinion. The republican organised insurgency is finished and the peace process leverage once thought to be with Sinn Fein has all but been used up. Martin McGuiness said recently that the Tories just don’t get it like Labour did. This was a plea for special economic clemency for the North of Ireland. But it is Sinn Fein that doesn’t get it. We are no more special than the Greeks. We surely are in new times. 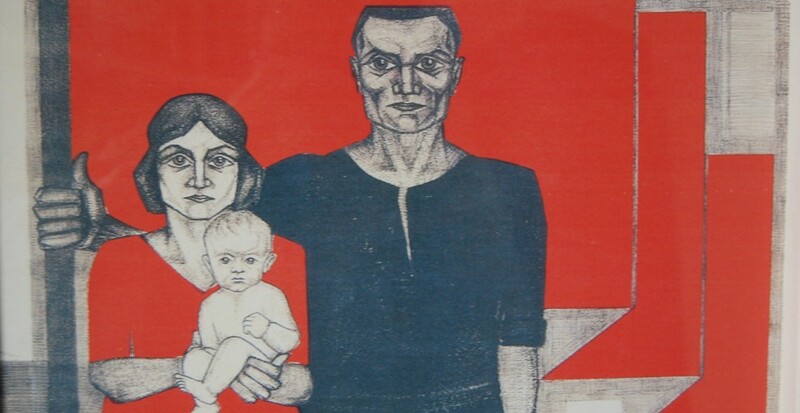 In much of Europe the workers movement developed in the latter half of the 19th century and first half of the 20th through industrialisation, the growth of trade unions and socialist parties and the radicalisation caused by two world wars, in particular by the first. The socialist movement often led the struggle for democratic rights and freedoms and gained support as a result. The Irish experience has been different, leading to a working class with a lower level of class consciousness. While Ireland started to industrialise early it was thrown back by the development of superior industrial development in Britain. What industrialisation did occur was small and mainly concentrated in the north east of the country. Defeat and brutal repression of Ireland’s bourgeois revolution in 1798 led to a bitterly divided working class with the most extreme reactionary ideology dominating the most advanced industrial area. The land question was denuded of its radical potential by this counter revolution and by the effects of the catastrophic famine in the middle of the19th century when, in a population of over 8 million, around a million died and a million emigrated and the population began a decline that did not reverse until the 1970s. The number of agricultural labourers fell by 700,000 from 1845 to the early twentieth century, the number of small farmers was halved and the cottier class almost wiped out. All this could only but weaken the potential base for a radicalised land movement. The result of all this was that when the national movement erupted in the first decades of the twentieth century in a battle for an independent state it was dominated by middle class revolutionaries who subordinated workers’ interests with the demand that ‘labour must wait’, which has been pretty much the policy of Irish republicanism since. The new truncated statelet these most conservative of revolutionaries created was dominated by the same economic subordination as that which preceded nominal independence, resulting in economic growth after foundation of the new state at very much the same rate as before its creation; and a polity not much different than before except for the role of the new Irish bourgeoisie that often proclaimed its Catholicism more than its nationality. The working class in its majority never broke from this political class and the socialist movement has been small and peripheral. The Second World War passed the Irish State by and during the 1950s emigration was higher relatively than it had been almost 100 years earlier, sapping all social classes of vitality and energy. The Irish State caught the tail end of the world-wide post war economic boom and the workforce in industry increased from 259,000 in 1961 to 363,000 in 1981. Overall however there was little increase as the numbers employed as agriculture continued to decline. This growth in the working class led to some limited revival in socialism reflected in the Labour Party claiming ‘the 70s will be socialist’ before that decade came and went and republicanism being genuinely influenced by socialist ideas, although of a Stalinist-type that did not offer any real alternative. This period saw a large growth in the number of strikes so that at one point the Irish State had the highest number in Europe (see below). It also witnessed huge demonstrations against the high taxes imposed by the State on the working class, which amounted to 87 per cent of all income taxes in 1978. In 1979 over 150,000 workers demonstrated in Dublin with many thousands in thirty other towns including 40,000 in Cork. 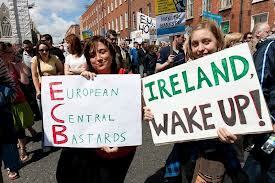 At this point the Irish State’s model of economic development began to collapse. World-wide economic crisis, a weakening of foreign investment and bankruptcy of indigenous industry led to massive unemployment, renewed emigration and a ballooning State debt. That the Irish working class and small socialist movement were unable to offer an alternative to the resulting capitalist restructuring and political offensive should not surprise. There was no successful resistance and alternative created anywhere else. The defeat of the tax struggles in the late seventies and early eighties and the inability to take advantage of ruling class political disarray, evidenced by repeated general elections in the first few years of the decade, plus the mass unemployment and emigration during the decade, weakened the working class both materially and politically. The graph of strike activity above clearly shows a steep decline from the 1970s from which there has been no recovery. It was in these circumstances that social partnership was imposed in the late 1980s. Partnership signalled the move away from bargaining with the employers and State through militant action and acceptance that when the solvency of the State was in question this took priority. Beginning in 1987 a series of deals were negotiated that meant accepting major cuts in pay and state services in order to reduce the massive State debt. The parallels with today are obvious. There was resistance to social partnership but it came in its most militant form from outside the trade unions and the trade union leaders were decisive in its relatively smooth introduction. This defeat of militant workers action and acceptance of the prerogatives of capitalism was, as we have said, not at all unique to Ireland. Across the world the ability and willingness of the working class to fight back in defence of its interests was set back. Strike statistics are only the most graphic measure of this development. Taking 42 countries and looking at the period between 1981-85 and 1996-2000 the number of countries in which strikes increased was 8 while there were 34 countries in which they declined. In the group of countries in which strikes had risen the increase was only 5,183 while the reduction in strike numbers was 63,657 in the group of countries in which there was a decline. 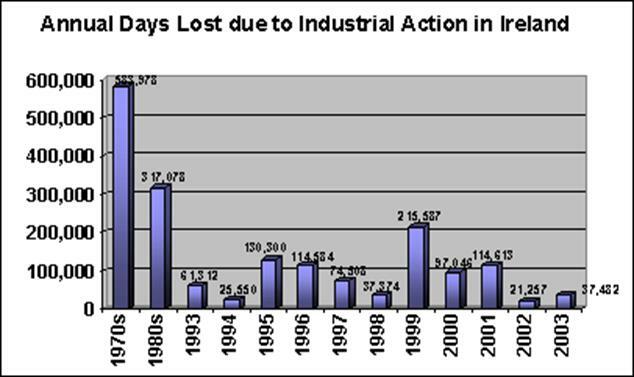 In the Irish State the annual number of days lost in strikes fell from over 580,000 in the 1970s to 26,650 in 2005. In the latter year there were only 15 strikes and only 10 in 2006, in which only 7,352 working days were lost, the lowest since records began in 1923. In 2007, the last year of the boom, there were only 6. As a percentage of the employed workforce trade union membership fell from 56.2% in 1987 to 42% in 1998. Separate figures record a reduction from 46% in 1994 to 35% in 2004 while the Irish Congress of Trade Unions has admitted that density continued to fall, being lowest among young workers. Where unions did exist member participation dropped and some of the features of bureaucratisation long normal at higher levels of trade unions infected union representatives further down the ranks. All this occurred during an unprecedented boom in the economy, the period of the Celtic Tiger, when GDP growth ranged between 7.8% and 11.5% from 1995 to 2000 and between 4.4% and 6.5% from 2001 to 2007. From 1990 to 2007 total employment grew from 1.160m to 2.112m, an increase of over 80%. While incomes fell during the 1980s they grew rapidly during the Celtic Tiger. The historical working class was recreated in many ways as a result of rapid economic growth both quantitatively as a result of falling unemployment, immigration and increased labour force participation rates and qualitatively as a result of the increased employment of women (whose number grew by over 125% from 1990 to 2007) and an influx of foreign workers. The Irish working class was recreated as a result of a boom fuelled primarily by foreign investment, which excluded unions from its workplaces, increasing corporatism and bureaucratisation of the unions that did exist. This within a world in which the historic goals of the working class movement – from progressive reform of the capitalist system to the view that it could be replaced – was increasingly discredited through the fall of Stalinism and defeat and retreat of workers struggles and the claims of social democracy. The boom saw no political strengthening of the workers’ movement even as unemployment fell and the class objectively, at least in numbers, grew enormously. As we said at the end of Part 3 capitalism is a revolutionary mode of production that recreates the working class. In the Irish State it did so in a way and in circumstances that did nothing to overcome the historic political weaknesses of the class. Indeed the trade unions became weaker as they bought into social partnership and the view that the interests of workers, State and bosses were best aligned. Even the historic nationalist politics that has been hegemonic became encapsulated in the need to have a low corporation tax for US multinationals. Lack of a strategic alternative, among other things, brought about defeat of the large struggles of the 1970s. Unemployment, emigration and prolonged economic crisis brought an assault by the State on working class living standards and did so in such a way that it survived, even prospered, when the economy recovered and entered into a boom. Social partnership sold the working class into sacrifices to bail out the State from bankruptcy and made the workers subordinate even when the boom gave them the conditions in which they could have recovered their strength and learnt to advance their own interests. Instead, in so far as social partnership was later abandoned it was abandoned by the State. The nationalist politics of the working class, the partnership with the state and the agreement of workers to sacrifice themselves on its alter came together in the reluctant acceptance of workers that they must bail out the banks and accept austerity when the economic crisis finally broke. This dependence on the State can be seen in two other ways. In Part 2 we noted that the left wing economist Michael Taft has claimed that the ‘squeezed middle’, the 4th to 8th deciles of income earners, suffered declines in direct income in the five years leading up to the crash, gaining only as a result of social transfers. Social partnership involved a deal between the trade union leaders and the State/bosses in which workers refrained from industrial action and accepted lower than potential pay rises in favour of tax cuts. This was not just the case in the final years of the boom but was the line pushed almost from the start – a policy that became more and more explicit as the partnership deals were negotiated. Thus not only did the workers movement become denuded of any militant initiative but it became more and more dependent on the state, and this was true not only of public sector workers but of workers in the private sector as well. Gross average industrial earnings grew by 25% in real terms in the 15 years between 1987 and 2000 but take home pay rose by 60% for a single person and 58% for married because taxation was cut. Mainstream economists, in 2000, also reckoned that these tax cuts were regressive because they were largely achieved through reductions in tax rates, which favoured those on higher incomes. It is well known that the State became excessively reliant on revenues from a credit boom but what this shows is that social partnership, and the whole strategy of the trade union leaders, was just as reliant. But really, how could it be otherwise? The second way this dependence increased can be seen in the simple growth of the state itself, true in all countries and not just of Ireland. ‘The Economist’ reported that the average size of the state had grown from 12.7% of GDP in 1913 to 47.7% in 2009. Even in the UK after decades of Thatcher and New Labour the size of the state remained around 44% from 1980 to 2005. This translates into widespread and increasing dependence of the population on the state, which has become the supposed solution to every and all sorts of problems. Such massive growth could not fail to have deep impacts on society at the ideological level and the ruling ideas that infect the working class. Neoliberalism hasn’t done away with the State and neither has it weakened illusions in it. The Irish State now presides over the world’s biggest property company (NAMA) after private capital made a mess of it. The State is now the means by which the debts created by this private capital are made good by the working and middle class. As we can see, he paints the growth of the capitalist state as somehow a practical example the ideas of Marx, and who can blame him? It’s the view of most of the Left as well, who constantly call not on the working class to solve its own oppression but for the state to do it for them. The journalist gives a host of facts that demonstrate the growth of dependency on the state -from the growth of social welfare expenditure from €9.5m in 2002 to €15.5m in 2007 when the crash came and to €20.7m in 2012. The number of social welfare beneficiaries rose from 1.5m in 2002 to 1.6m in 2007 and 2.3m in 2012. Of these 486,000 were on the Live Register. He notes the increased number holding medical cards; the direct subsidies to private industry and agriculture – mostly to the biggest operators; the tax breaks for business and the direct procurement of goods and services from private capital. However the bottom line with the austerity offensive is that the Irish State became bankrupt and could not afford to continue this, so introducing harsh cuts and tax increases. The question we have sought to address is why Irish workers have not resisted, or resisted so little and to so little effect. We have seen numerous reasons for this – from the historic weakness of the class; the recreation of such weakness in the defeats of the last few decades; international developments that have demonstrated the hardly unique character of the experience of Irish workers in this respect, and the particular role of trade union and political leaders, which again is far from unique to Ireland. Only a few weeks ago I listened on the radio while a professor of economics in Madrid noted that commentators in Spain were wondering why Spanish workers were not reacting more angrily to austerity compared to their Portuguese neighbours. The experience of Irish workers reflects the weakness of indigenous capitalism which the growth of foreign direct investment has not significantly altered. The latter has only reinforced the weakness of Irish workers – they have hardly even attempted to unionise in the multinational sector and appear to have bought into the view that they must live through nine circles of hell before the proud Irish race will ever succumb to a headline corporation tax rate higher than 12.5 per cent. Finally we have seen the very direct dependency of so many on the State that has just bankrupted itself bailing out the banks. Unable to stop them doing so, in fact not even being asked if they agreed, and fed crap about the ‘cheapest bailout in history’, the working class was left with a choice – bail out the state it depended on for jobs and welfare or default when the only people in place who could carry out this policy was the same State that was demanding they pay up. Without a mechanism to enforce default, even if that is what they wanted, and without an economic and political power base outside of dependency on the State, the choice was pretty clear, even if there could have been struggles that could have made it messy. Put simply – how could workers tell the State to get stuffed when it relied on it so much? The Left has peddled nonsense that the State can be made a means to redistribute wealth such that only the rich pay for capitalist crises but the workers haven’t bought this and some of the Left that calls itself Marxist is not actually supposed to believe it either. The defeat inflicted on workers in the last five years should cause a rethink. Renewed declarations of faith will not do. In my last post on the politics of the left I questioned proposals on state investment as the answer to unemployment. In this post I want to look at this further. The Nevin Economic Research Institute (NERI), an economic think-tank affiliated to the Irish Congress of Trade Unions has published a similar proposal to that of the United Left Alliance (ULA). Its paper is entitled ‘An Examination of the Effects of an Investment Stimulus’ and its research shows that an investment stimulus of €1 billion would create about 16,750 short term jobs and between 675 and 850 long term jobs. In the longer term the competitiveness of the economy is increased so that the economy grows, which increases taxation, which more than offsets the interest cost of any loan to fund the investment in the first place. This means that “overall there is a long-term permanent decrease in the government deficit as a result of an investment stimulus.” This is what has been referred to often as growing our way out of the crisis and debt problem. NERI therefore proposes a phased investment stimulus of €15 billion over 5 years. The net cost per job created, at around €34,500, is nearly the same for both the NERI and ULA proposals. The paper by NERI sets out more fully its assumptions so it is fair to assume that these are not dissimilar to those of the ULA, which in any case we can also fairly adduce from the ULA proposals themselves. This is a problem, or rather there are two problems, not perhaps so much for the presumably Keynesian researchers at NERI but for the ULA, whose biggest components claim to be Marxists. 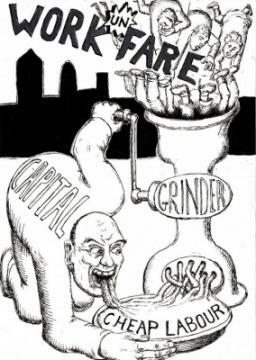 The Marxist analysis of the way capitalism works is very different from the Keynesian or neoclassical one. Unfortunately, through the budget proposals of the ULA and their similarity to those of NERI, the policy proposals of the ULA display much affinity to Keynesian economics. We have noted this already in their definition of the problem as being one of insufficient demand, which is also the view of Keynesian economists. For Marxists this is indeed a feature of the current crisis, indeed of all crises. 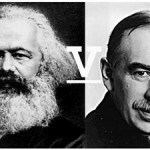 Where the difference lies is that Keynesians think that this problem can be put right by state-led investment while for Marxists the lack of sufficient demand is really just one expression of deeper problems but not the fundamental cause of the crisis, which will not be put right by expansion of state expenditure. This fundamental difference is invisible when the proposals of the ULA and NERI are compared. For Keynesians the capitalist economy can reach equilibrium, where demand for investment funds and its supply are equal, in a situation where there is nevertheless massive unemployment, both of people and resources. The autonomous action of the state in increasing investment can solve this problem and bring the system back into an equilibrium that resolves the unemployment problem. For Marxists state investment can at most postpone the crisis but is not itself an answer. By contrast the ULA present it as part of the answer. On the other hand Marxists see this type of statement as an example of bourgeois economists overwhelming tendency to assume that the capitalist economy works like a socialist one; that all production will more or less fulfil a useful role. After a crisis based on massive construction expenditure that powered a phenomenal boom and then bust, this is just an incredible assumption. The NERI and ULA proposals are based on further infrastructure spending by the same state that encouraged the last ‘stimulus’. That NERI believes this will lead to long term growth is again built into the neoclassical assumptions of the model. Neoclassical economics assumes that capitalist markets are totally free and efficient. A model built on such long term assumptions could hardly show anything else. Neoclassical economics assumes that production is efficient and finds a market and that growth is the result. Marxism makes no such assumptions but instead demonstrates the contradiction at the heart of an economy determined, not by autonomous investment, but by the pursuit of profit. The recent massive overproduction of infrastructure was massively profitable, which is why it continued for so long. The contradiction between this profitability and real need; the contradiction between the limitless expansion of capital and the limit of the market, was suspended temporarily and resolved temporarily by the expansion of credit. When this expansion of credit can no longer continue the limits of the market are exposed and massive overproduction , which inevitably involves massive over-accumulation of capital, is revealed. Keynesianism’s answer is to continue the accumulation because investment will find its own market and in any case can be autonomous within the system, as we have seen. Marxists believe on the contrary that the accumulation of capital is determined by profit and lack of it may see accumulation shudder to a halt and collapse. In a contest of economic ideas, between neoclassical economics where crisis are not supposed to happen and are self-correcting when they do, and Marxism, in which overaccumulation driven by super-profits is periodically inevitable, the real world has given a decisive confirmation of the latter. In a contest in which Keynesianism can assume investment creates its own demand and is self-financing and Marxism which points out the contradiction in production between use and profit, the empty office blocks and ghost estates are again striking confirmation of the truthfulness of the latter. So why oh why would the left want to promote Keynesian solutions? There is absolutely no reason to believe that a renewed burst of construction spend would not create new imbalances. Perhaps the left believes that because the state carries out the spend it does not have to earn a profit but this is false for a number of reasons. First it has to pay for the investment. If it takes out a loan it will have to pay it back and if the investment does not create tax revenue by promoting further private capitalist investment it will not raise the necessary tax. In these circumstances taxation would have to come instead from workers or business, which would remove the stimulus that has been created. If the investment does stimulate or facilitate private investment then this only confirms ULA reliance on the state promoting capitalism as the way out of crisis. Although the ULA does call for €5.3 billion of state investment in modern industry it calls for much more, €26 billion, to be invested in infrastructural investment. In fact even some of the modern industry investment is in infrastructure. Such infrastructural investment is normally not competitive with the main private capitalist industries but complimentary to it, facilitating it to make profits. By making such spend central to its economic alternative the left, subconsciously no doubt, evidences the inadequacy of its alternative and subservience to capitalism. An alternative is that state investment is directed to the production of goods and services that people actually need and want and are prepared to pay for. This would indeed be competitive with private capitalist owned industry but this is not what is proposed by NERI or the ULA. Instead either taxes or the promotion of private capitalist production through helpful infrastructure is proposed. In our last post on this we questioned the policy of reliance on state investment given its history of incompetence, even in areas of no great complexity or requiring no great innovation. The left sometimes excuses this (why?) as the result of subordination of the public sector to private capitalism. And the answer to this is yes, that is what the capitalist state is for. It is not for creating competition to private capitalism so why would the left demand that it does? Even if the specific proposals of the left, in the particular circumstances that Irish workers face, are not practical this is not the main objection to them. The main objection to them has possibly more force where they actually to work. For if they worked, even if only temporarily, they would be both a diversion from creation of a socialist alternative and some evidence that this alternative is not needed. The success of state industry would be the success (temporarily) of state capitalism. The successful development of capitalism has been facilitated by the state many times and it may be argued that the more recent, and quicker, that development the more it has relied on the state. This may be true going back through the development of every new major capitalist power from Holland in the 17th century, to Britain in the 18th, Germany and America in the 19th and 20th, the Asian Tiger economies of the late twentieth century and the Chinese of the 21st century. The socialist alternative is something very, very different from this but the left’s fixation on the power of the capitalist state is strong and we shall look at the question some more. [i] The quotations above are taken from a new paper that compares the Marxist explanation that the capitalist economy is driven by profit with the Keynesian alternative of the role of investment – ‘Does investment call the tune? Empirical evidence and endogenous theories of the business cycle’ See link. Back to the Future? – the State to deliver jobs? The money will come from what’s left of the National Pension Reserve Fund, so workers will know their future pension money is being craftily spent. Some will come from the European Investment Bank but it’s not clear how much. Some will come from the sale of state assets. This is where the state buys duff things from the private sector – like banks – which cost it a lot of money and sells good stuff – like companies that make profits – which also cost it money. No spanking new construction project would be complete without the involvement of the banks and they too will be involved, although again it isn’t known by how much, but since these are funded by the State this doesn’t really matter that much. Finally, to complete the story, much use will be made of Public Private Partnerships, a partnership where one partner gives money to the other, for example when roads don’t have the traffic that was predicted but one partner gets paid anyway. Again we don’t know the figures but we’re not expected to get much exercised over this because it’s all for a good cause, although it’s the usual story of being bribed by your own money. Fianna Fail complained that many of the announcements would have no effect for six years, which might have been a good thing had it applied to their own policies. They complained that some of the announcements were bringing back projects that the government had just cancelled, such as the Grangegorman project, which inspires confidence that planning by the capitalist state will continue to be used as a weapon to discredit socialist planning. The word planning might however be going a bit too far since Howlin said it would be nice to give the new jobs to people from the Live Register and also to apprentices who haven’t finished their training, but “I don’t want to promise that that can be done.” It’s wonderful how governments can promise to spend billions of workers’ pension and tax money while saying that they can’t promise that it will deliver what it’s supposed to deliver. The sense of building new health facilities while preparing to get rid of health staff and of building new college facilities while cutting the number of lecturers seemed not to have been questioned by many. The Irish State doesn’t have a great record when it comes to investment. 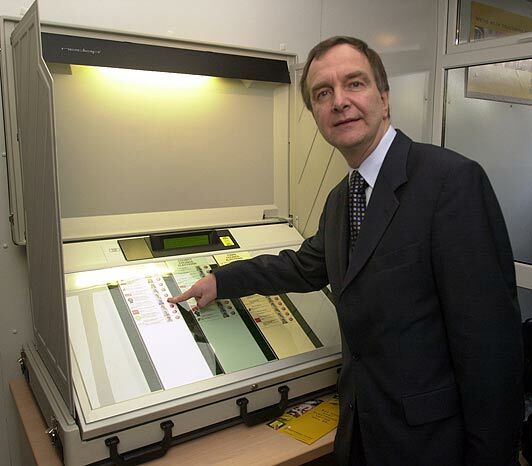 It bought 700 electronic voting machines for €55 million and they didn’t work. It wasted money on hospital co-location, decentralisation and €100 million on the ‘Bertie Bowl’. It commissioned a PPARS IT system for the health service with an original budget of €9 million in 1997 which ballooned to €120millin in 2004 before being pulled in 2007. The Auditor General reported that the roads programme which was supposed to cost €5 billion ended up costing €20 billion. The high-technology Media Lab Europe set up jointly with the Massachusetts Institute of Technology was to focus on the development of digital technology but went into liquidation within five years with consultants describing its output as “mediocre, “surprisingly weak” and “dismal”. The United Left Alliance’s budget statement stated that “the current crisis cannot be resolved without a state led programme of investment.” It proposes a reversal of cuts in capital spending and an emergency state programme of infrastructure investment costing €26 billion to get 150,000 back to work. If we assume unemployment at around 310,000 this would still leave 150,000 unemployed. What happens to them? The programme is to last “for at least five years”. What happens after that? The economic contraction has already been going nearly five years and the slump could continue five more. The ULA wants to employ workers’ private pension funds just like the government wants to use the pension funds of public sector workers. The ULA wants the latter money, €5.3 billion, to fund investment in modern industry and it rejects privatisation. Instead it wants state companies to carry out this investment. If successful this might make some further dent in the unemployment total and at the cost of job creation estimated in its infrastructure programme this would reduce unemployment by perhaps 30,000. Of course there would be further multiplier effects but this depends on the overall performance of the economy. It is the assumption around this performance that motivates both the proposals of the government and the ULA. As we have seen, the bosses organisation IBEC, and also ICTU, see the problem as one of insufficiency of demand and the government’s stimulus “an important first step in helping to restore domestic demand in the Irish economy.” The ULA say “direct government job creation through public works is necessary to promote effective demand and halt the deepening crisis.” The government, bosses, trade unions and the left offers a similar analysis of the problem and a rather similar remedy. Of course the trade unions and left oppose privatisation but state ownership in itself is not socialist. What we have, as in the sphere of taxation, is a difference of quantity in the measures being proposed, not a difference of quality. What the ULA proposes, based apparently on a Keynesian analysis of the problem, is not socialist although, if successful, would have a big impact on defending workers’ living standards by reducing unemployment and defending its welfare entitlement, take home pay and public services. Were its proposals to succeed they would go some way to providing a capitalist alternative to the policies of austerity although they would do little to prevent the regular future occurrence of capitalist crises. Lest it be thought this judgement too harsh let’s go back to just one proposal of the ULA, that of using workers’ pension funds. This is a proposal that the capitalist state that has saddled the working class with an unsupportable debt and denuded its state pension fund, imperilling the pensions of future workers, should also take a chunk of workers’ private pensions, and it with its sterling record of investment and economic management. In effect it’s a capitalist expropriation of workers funds with no more than a promise from a politician for comfort, and a few Irish workers have had letters of comfort from the Irish State before. The workers should take over management of their own pension fund? They should promote worker owned firms to address the problem of unemployment? Heaven forbid! That sounds like socialism.